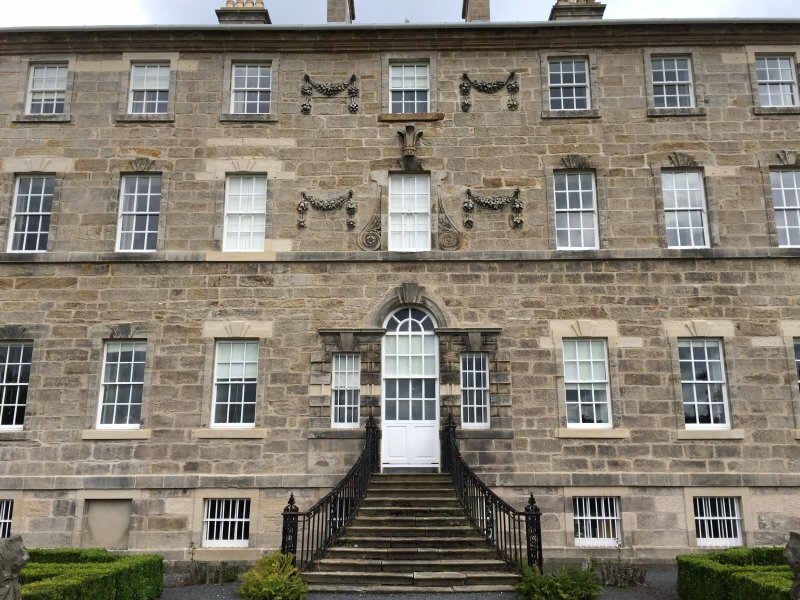 2017 brought an occurrence of a relatively rare event in my life: for the first time in 25 years, I moved house. 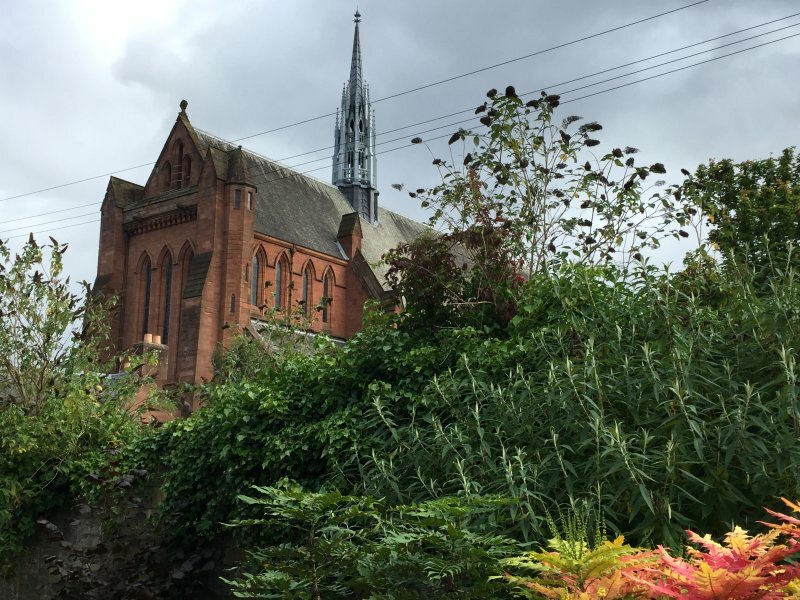 Finding myself 'between houses' for a week in August, I was fortunate to be able to spend this in Glasgow, Scotland's largest city. 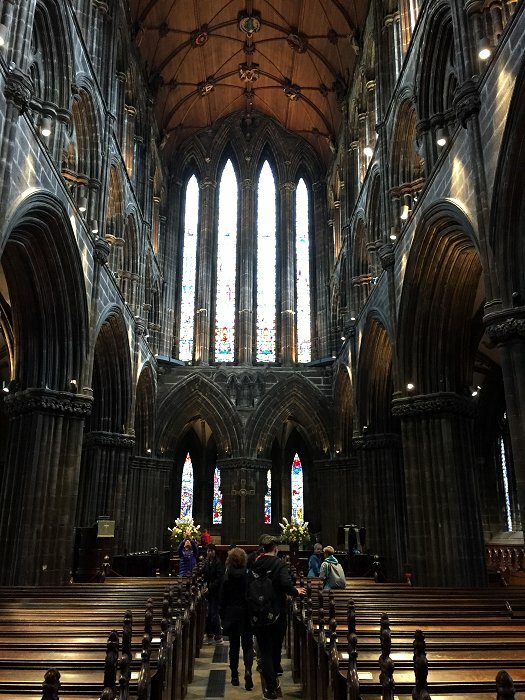 Despite being in the midst of a major upheaval, I was able to fit in a bit of local sightseeing. 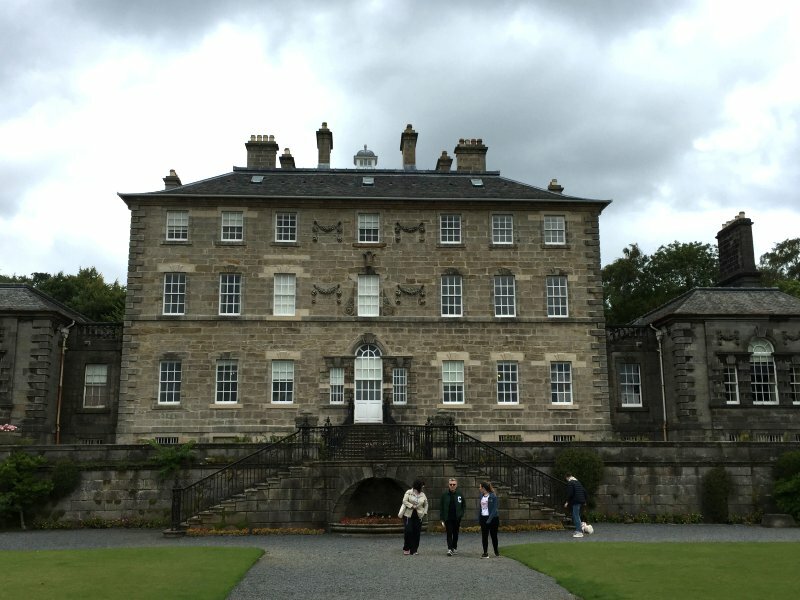 Pollok House (see panel on right) is in the city's south side. 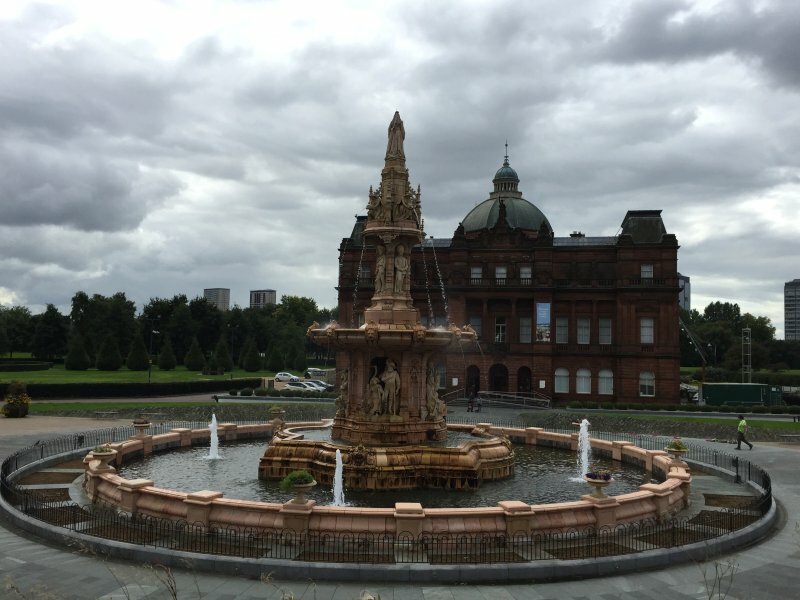 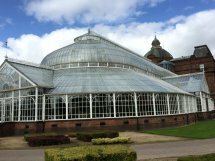 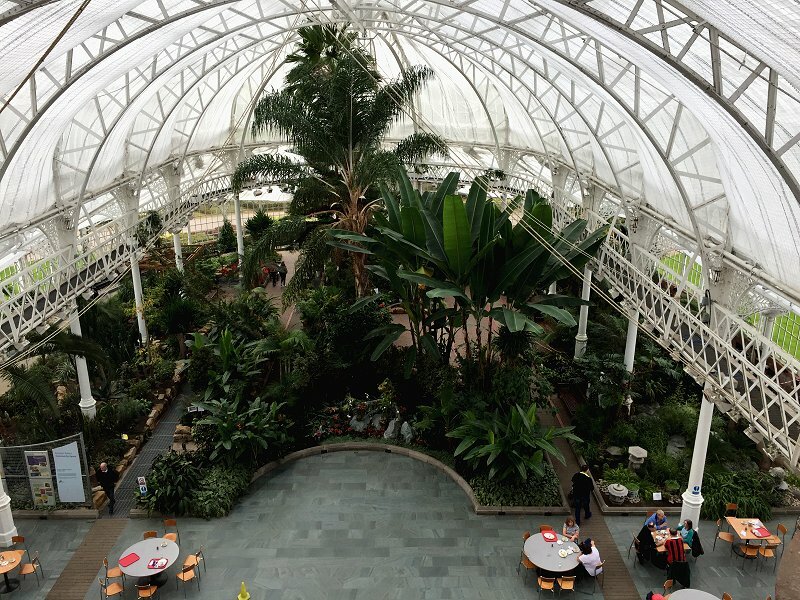 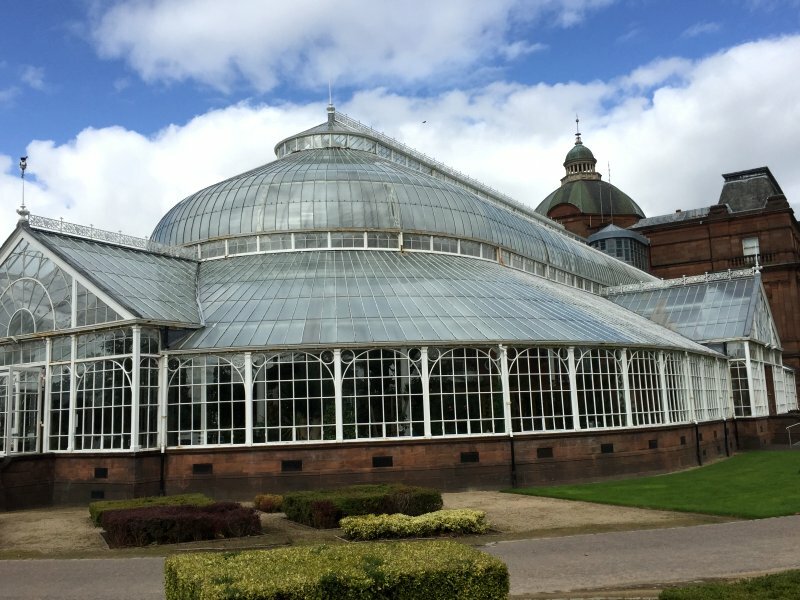 All the other locations (below) are in the oldest part of Glasgow, located just to the east of the modern city centre. 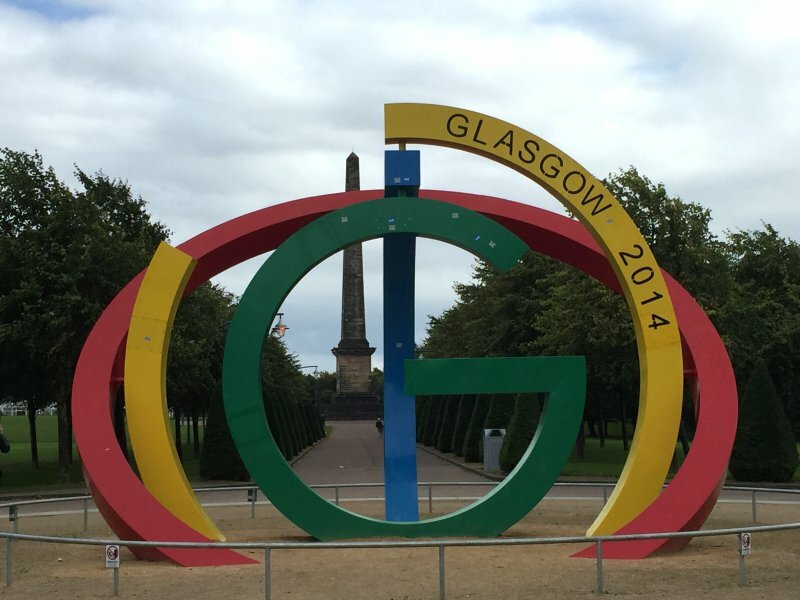 Glasgow Green is a large open space on the north bank of the River Clyde. 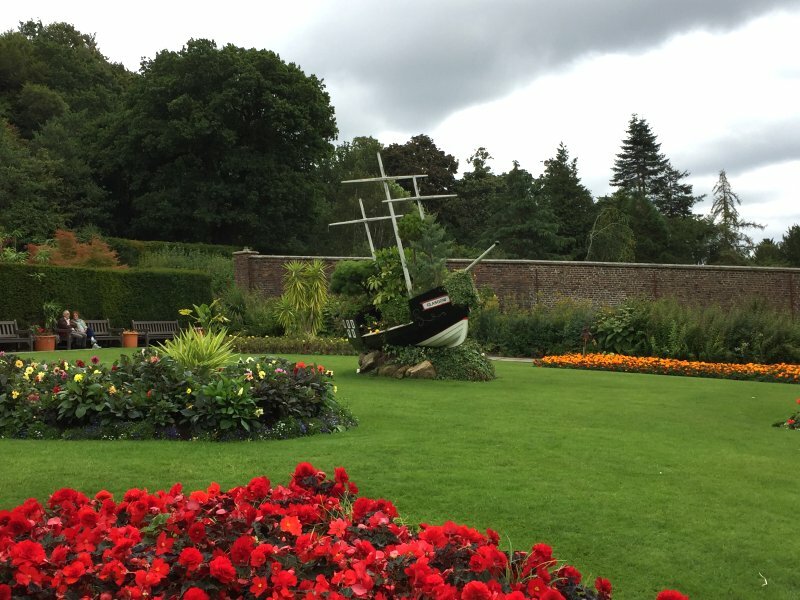 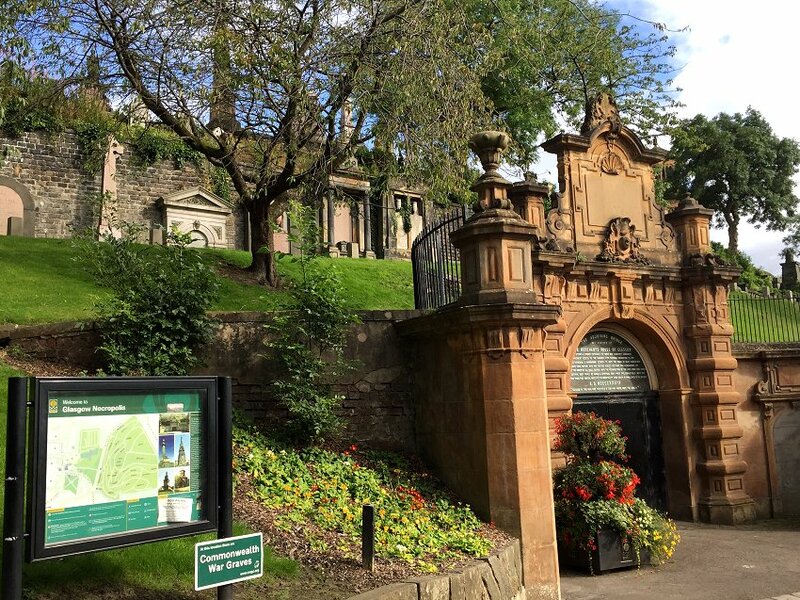 It is believed to be the city's oldest park. 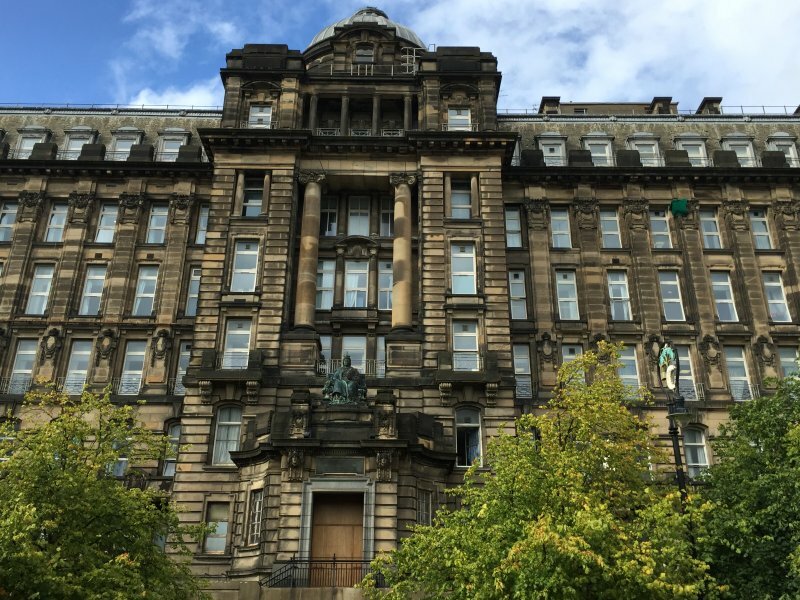 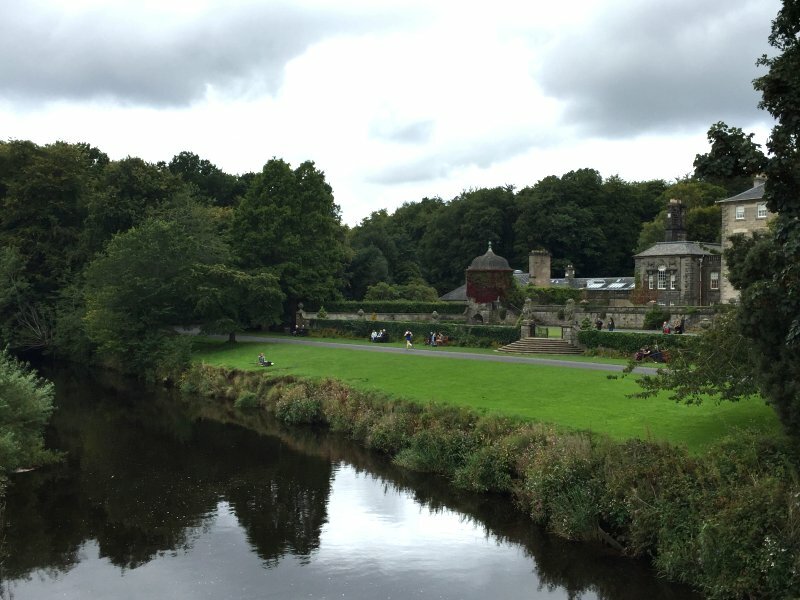 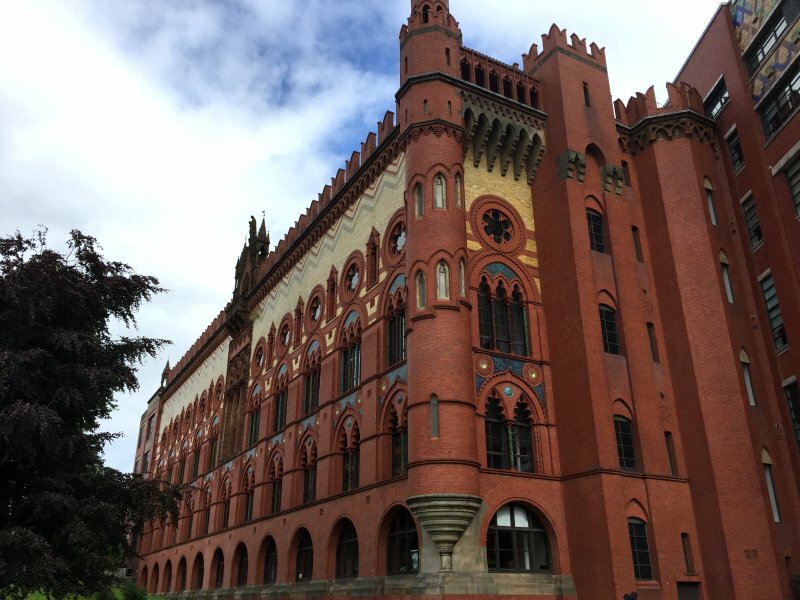 Notable features include the People's Palace and Winter Gardens, Doulton Fountain, the Nelson Monument, St Andrew's Suspension Bridge and the Venetian-inspired Templeton on the Green (better known as the former Templeton Carpet Factory). 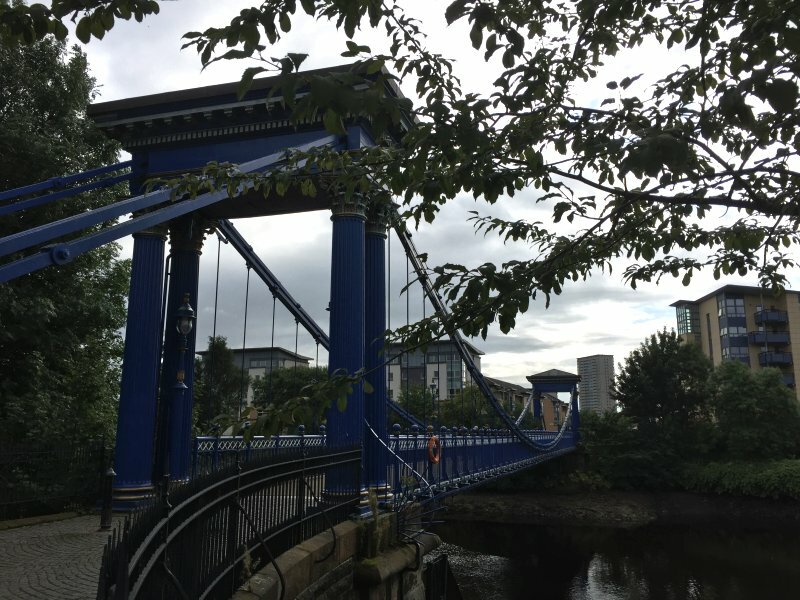 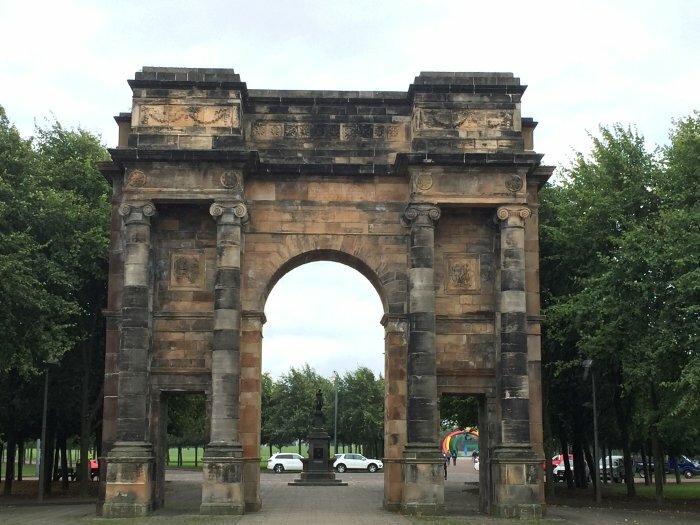 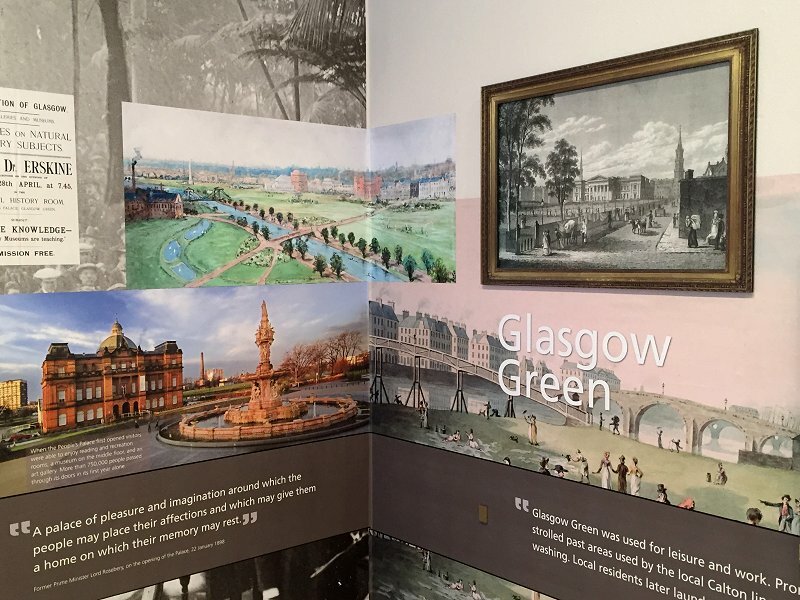 Following my visit to Glasgow Green, I walked northwards via Saltmarket, Glasgow Cross and High Street to Castle Street. 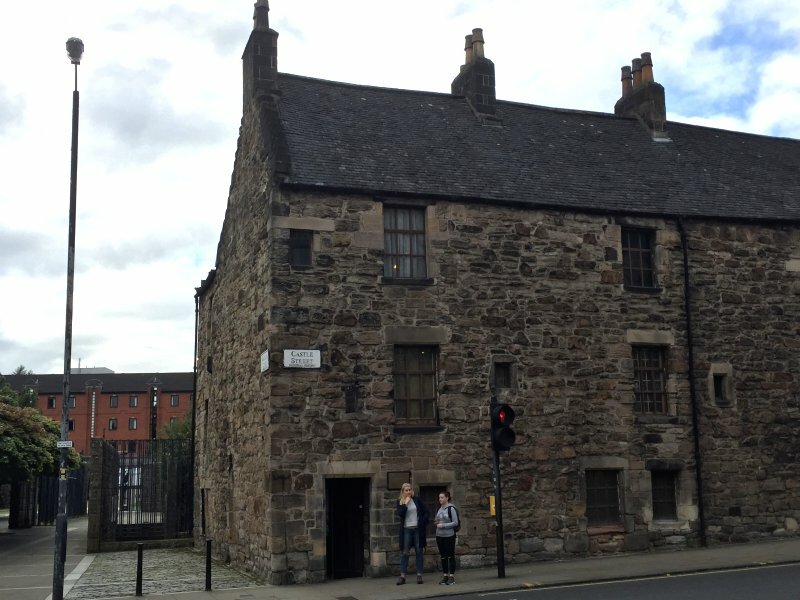 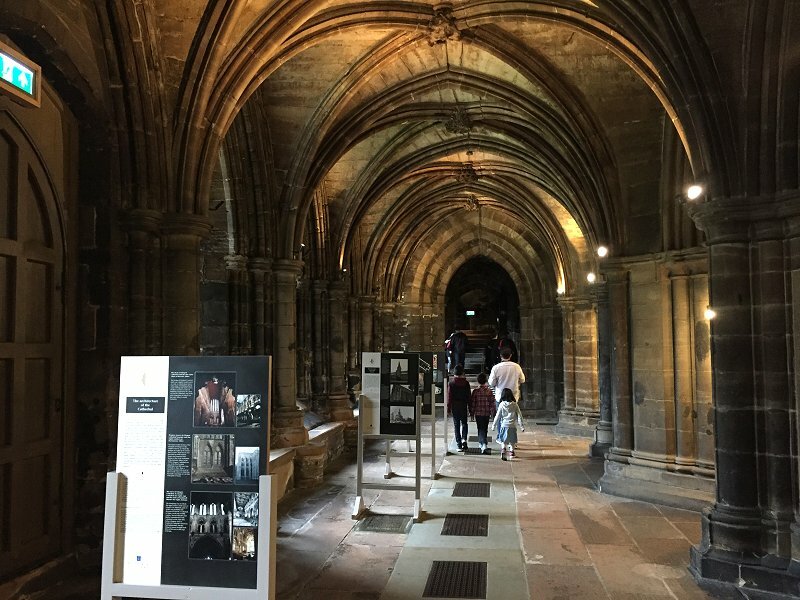 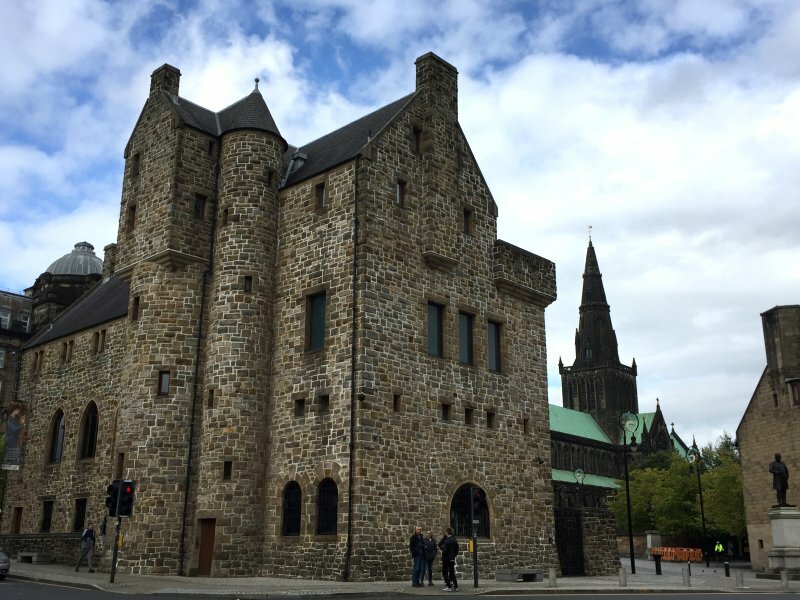 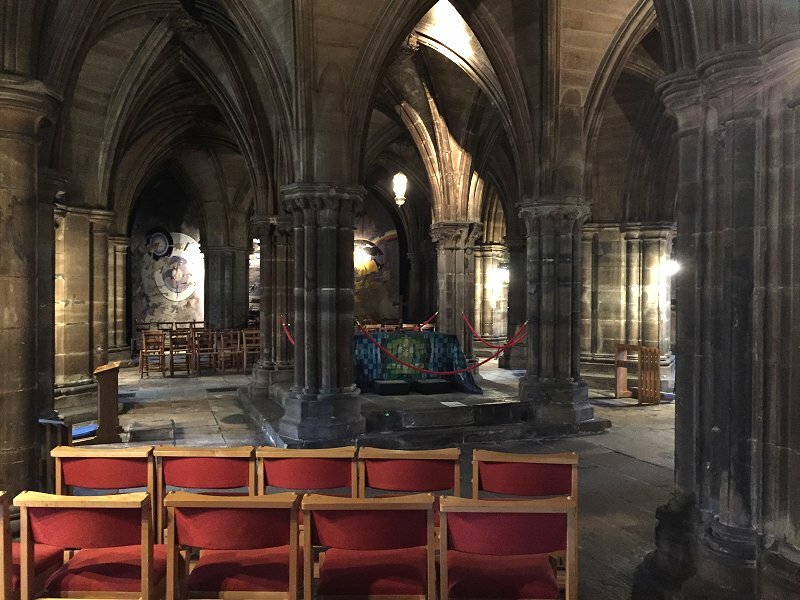 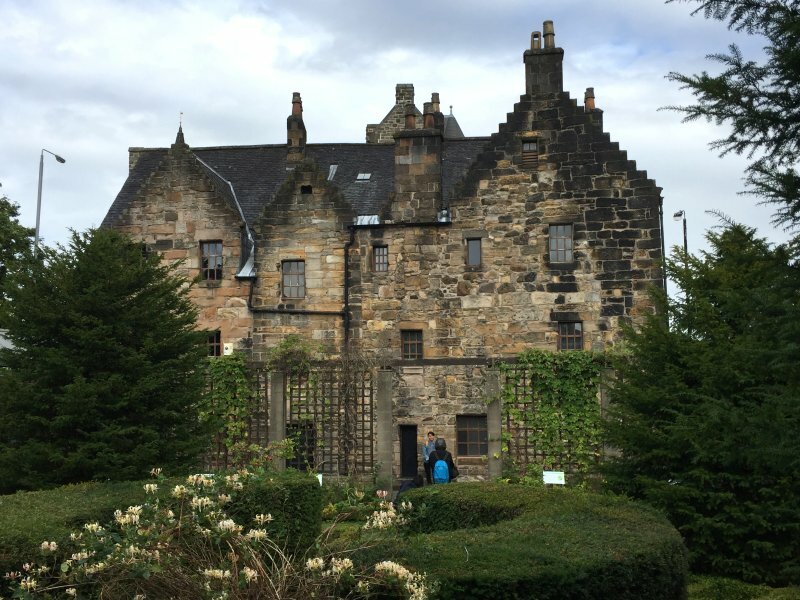 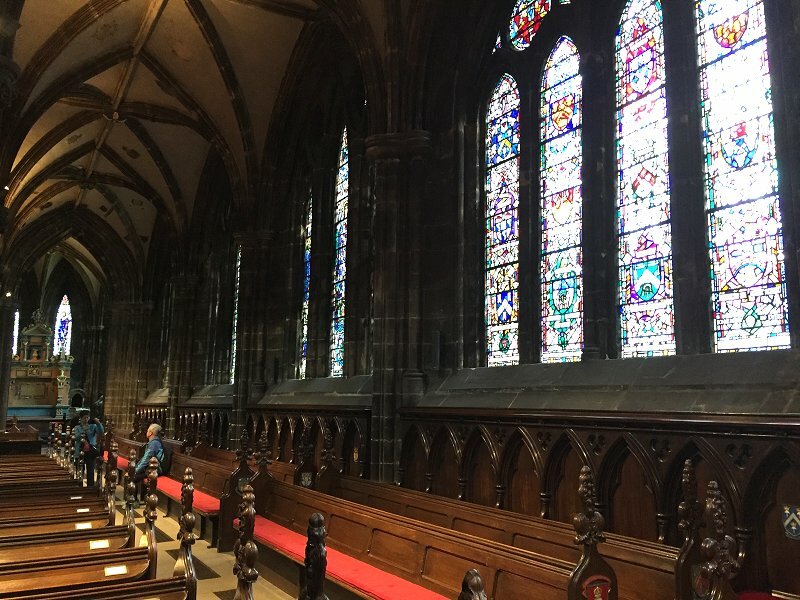 I visited the oldest house in Glasgow (Provand's Lordship, dating from 1471) and the oldest building in the city (the 12th-century Glasgow Cathedral). 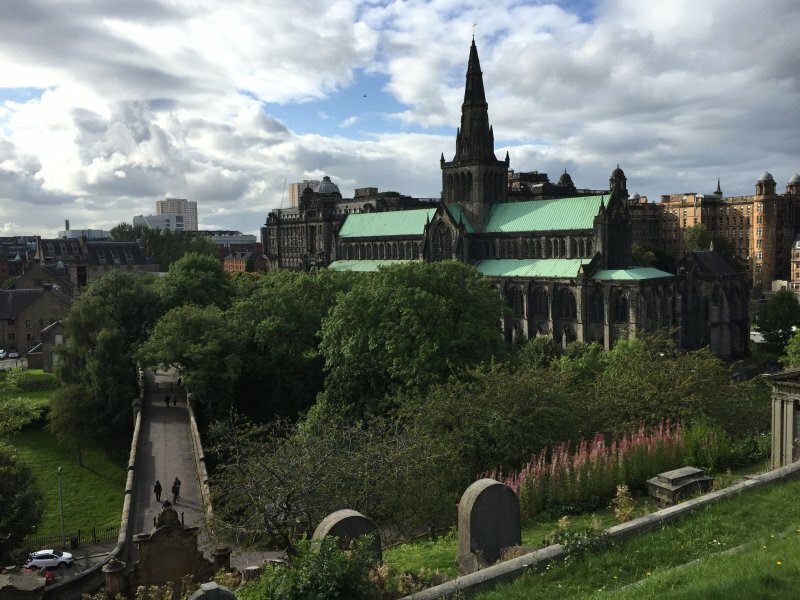 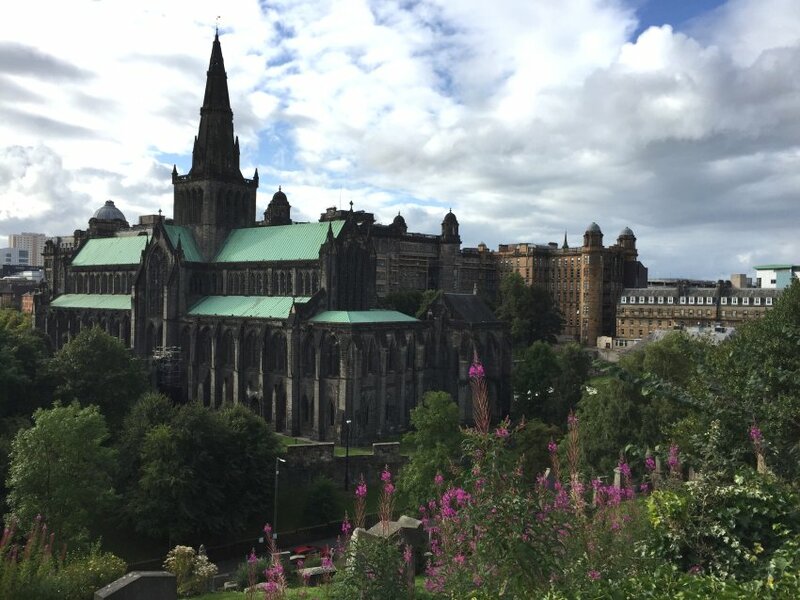 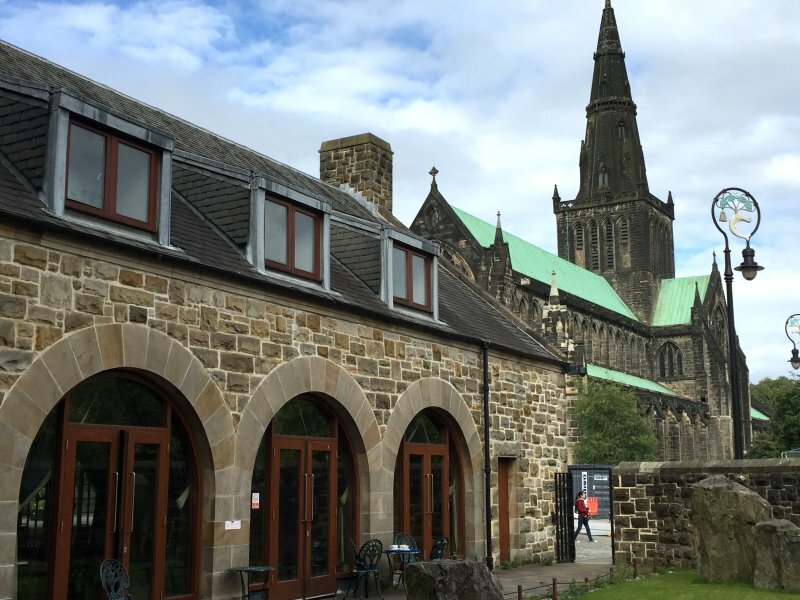 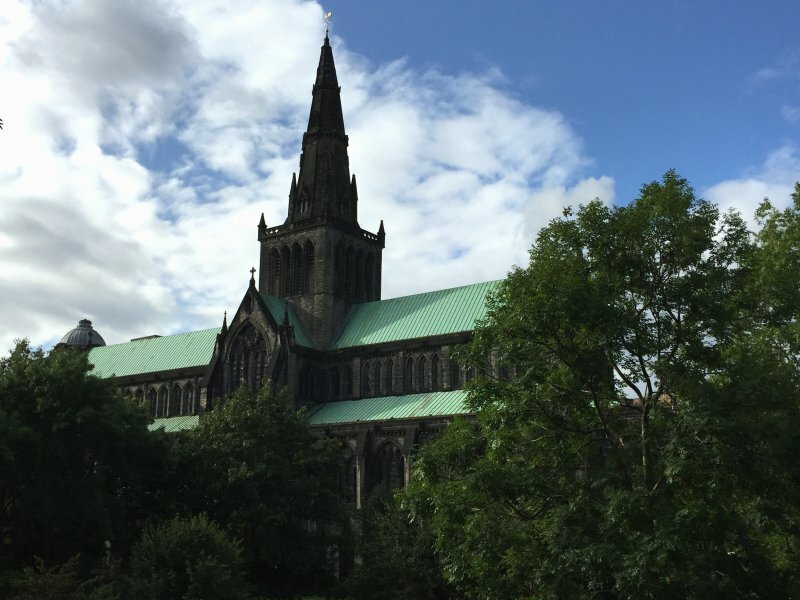 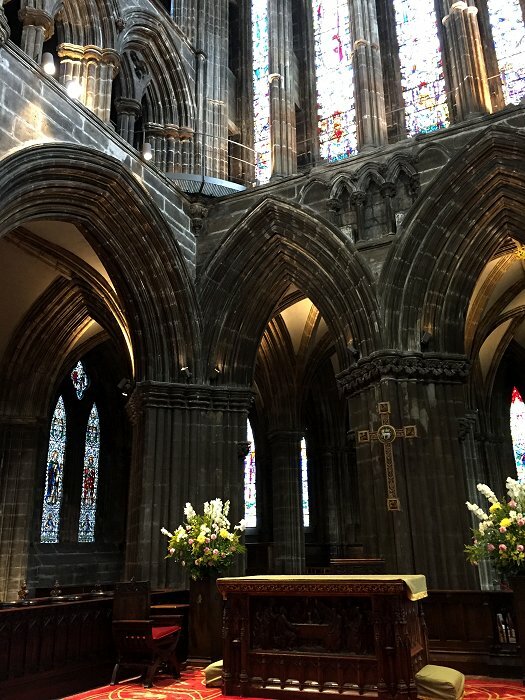 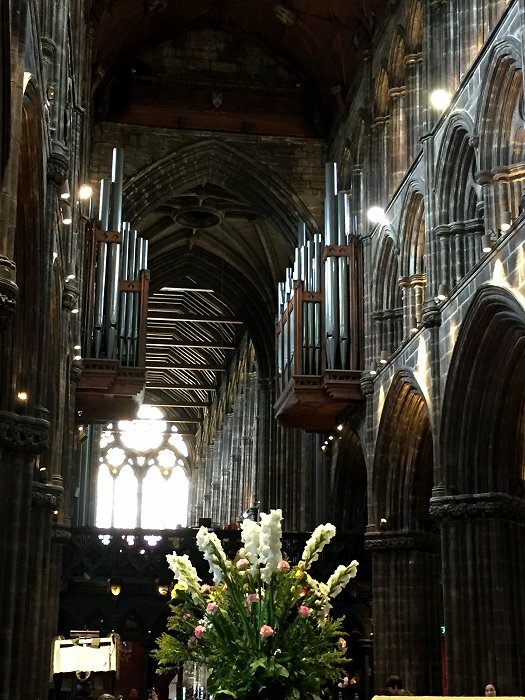 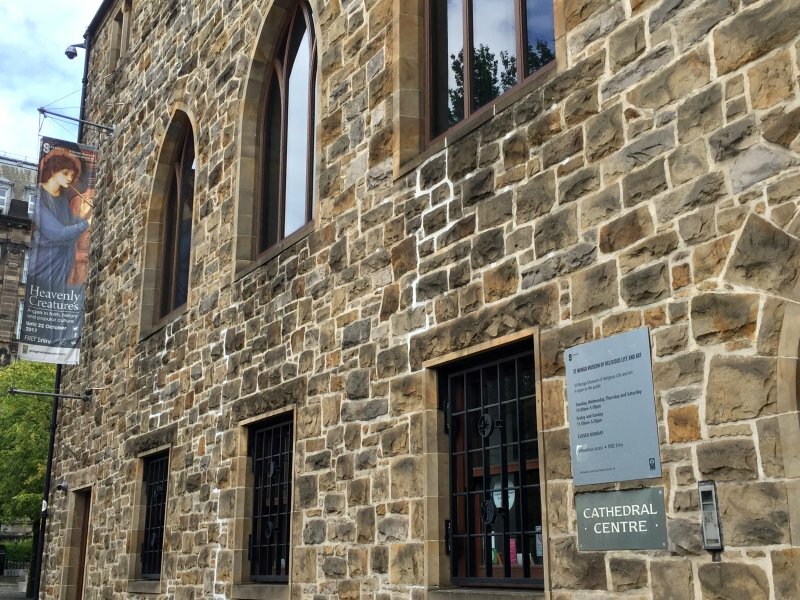 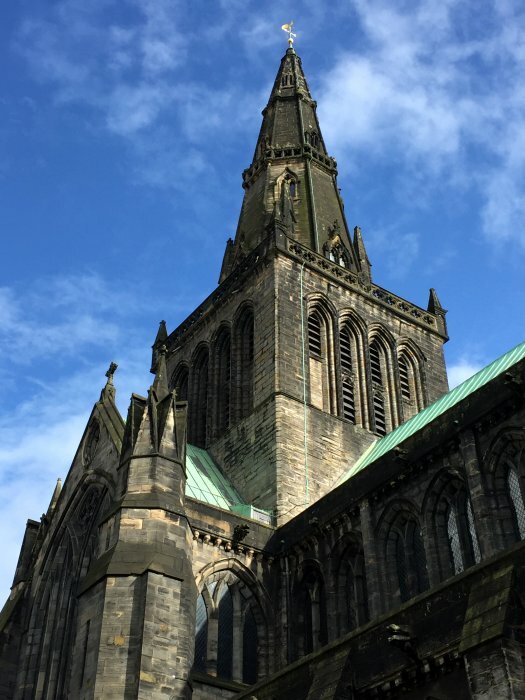 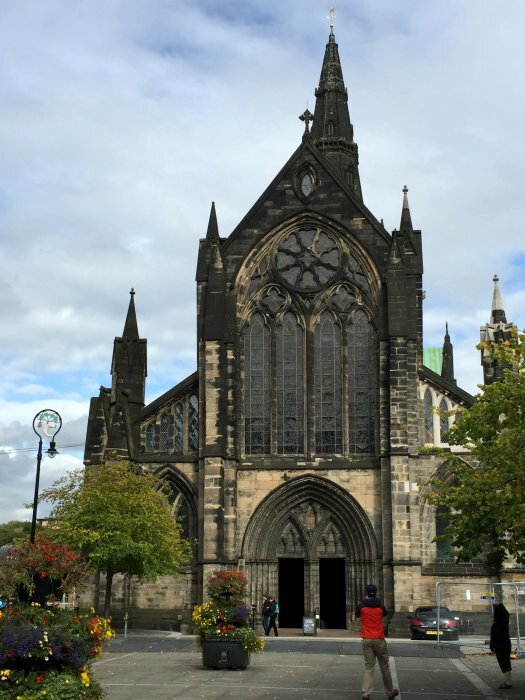 Like several similarly-named churches in Scotland, Glasgow Cathedral is no longer the seat of a bishop, having passed to the Church of Scotland at the Reformation; however the name remains in near-universal use. 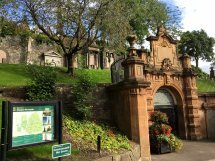 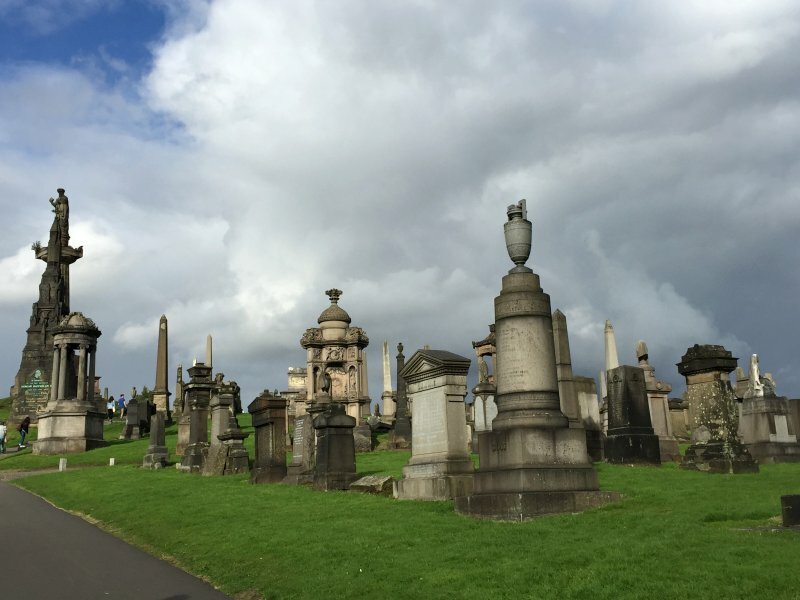 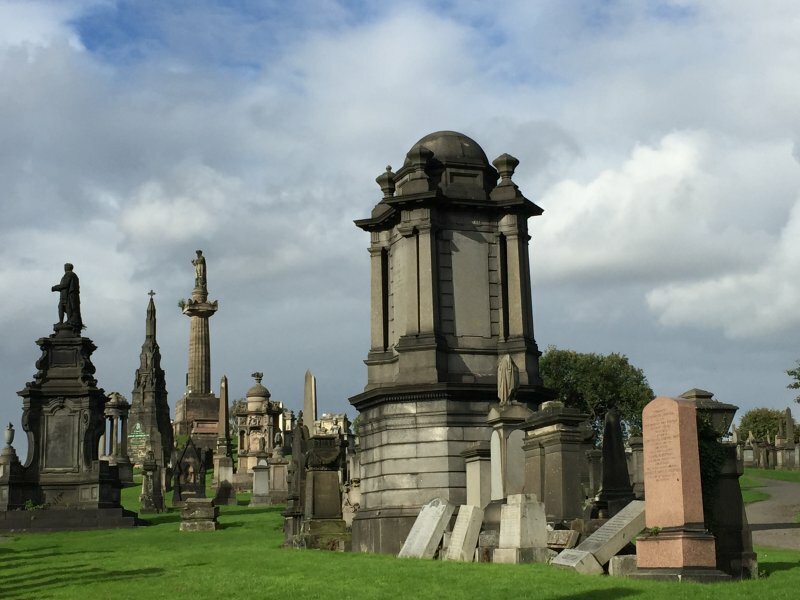 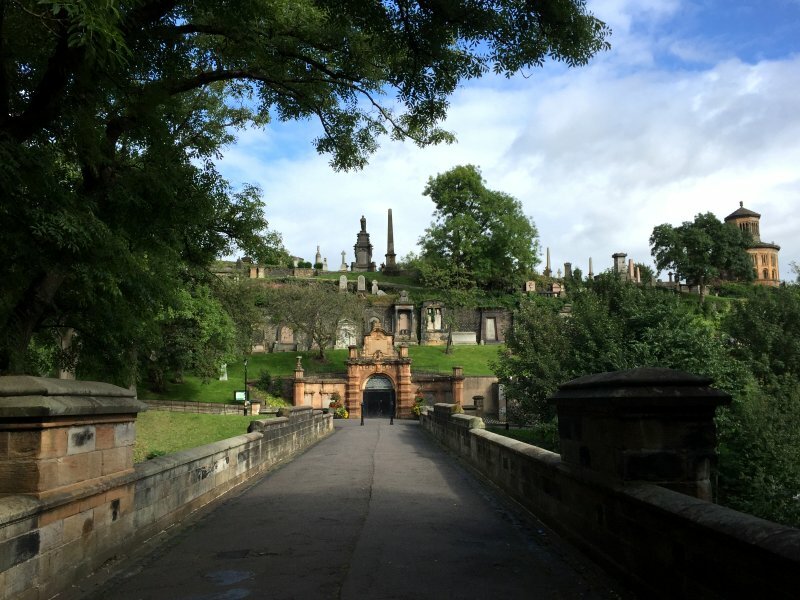 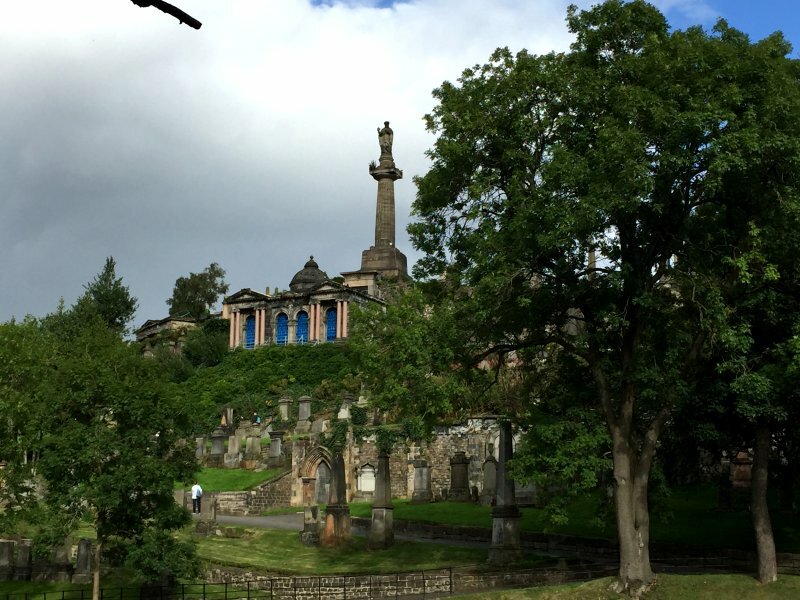 Finally, I had a look around the Glasgow Necropolis (literally 'City of the Dead'), a large and prominently situated cemetery dating from 1832. 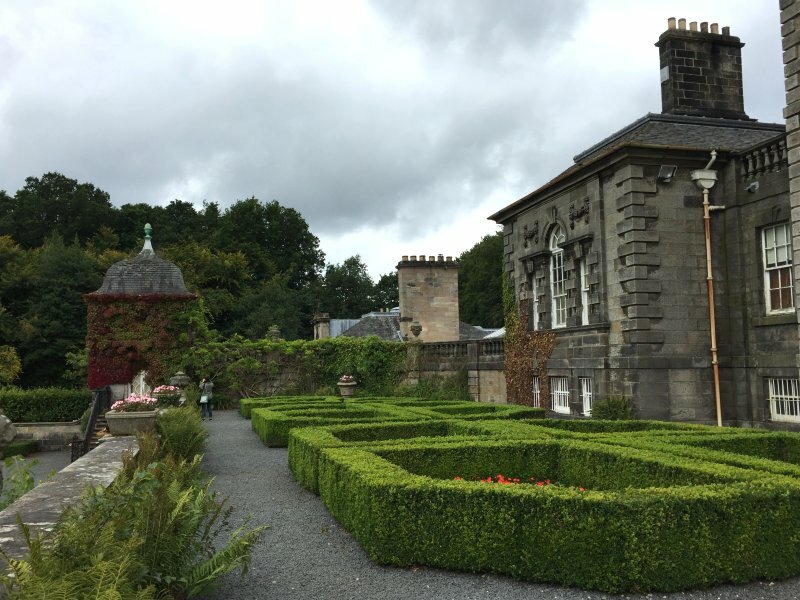 Pollok House is an 18th-century Palladian mansion situated in Pollok Country Park, in the south side of Glasgow. 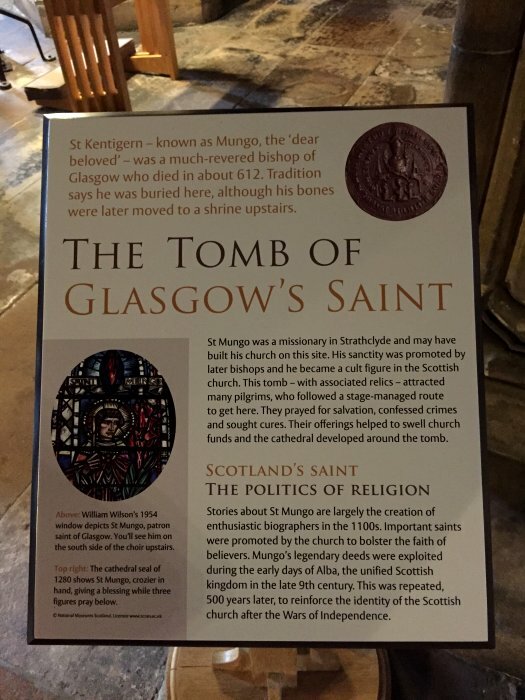 It is managed by the National Trust for Scotland. 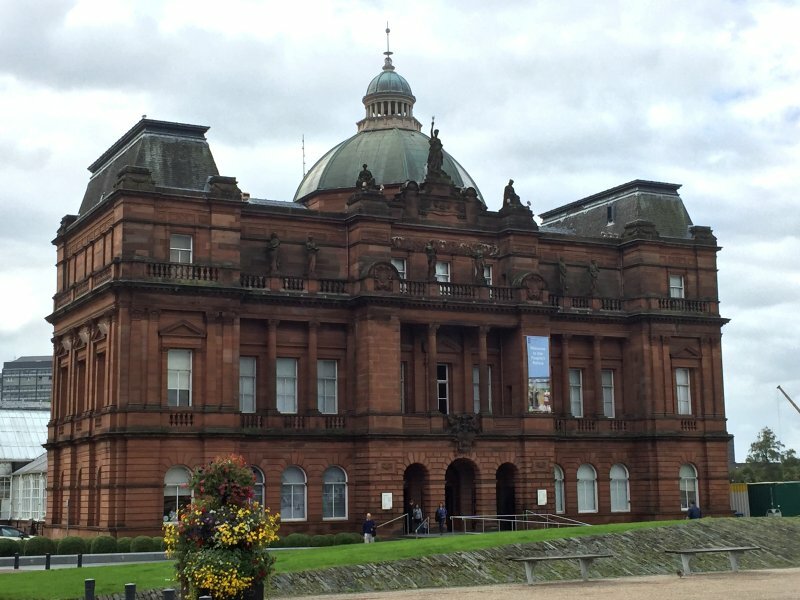 Perhaps a little unexpectedly, it houses one of the most important collections of Spanish art in the United Kingdom.